Trying out a new painter in 2014. Going to be adding in some yellow. This is the first body he did for me and it looks awesome, but he is gonna tweak it a little for my race bodies. Check back in at the new year to see all my race gear and equipment for 2014. Can’t wait for the season to start back up at CRCRC!!!!! Thanks for reading and God Bless. Never been a big fan of yellow, i just thin white makes it look cleaner. I like it. I would try to incorporate a little more yellow in the body if you plan to run yellow wheels. Regardless of what you do I’m sure it will look great. Looking forward to seeing the new paint in Ohio. No stars? Gotta get some stars on there! Sorry but I’m not feeling it either. And I have flo yellow in my scheme and run yellow wheels. I just don’t think it works with your color scheme. really like the new look. the splatter and colors give it a nice fresh graffiti look. any thought to yellow decals to bring it all together? also I’m trying to get some of the Kansas City guys to go down to Flowood MS the 17-19 of January to run some nitro. The guy who runs the track wanted me to pass the invitation on to you also. I lost your number when I got a new phone, so I’ll pass the invite along on here. Changes are good for a new year. I agree that the color white makes it look cleaner, but in my opinion yellow makes it more visible when you are racing during night time. On your Upgrade RC logos Jared, a gold metallic fill (to tie the shocks in) with a flo-yellow outline would look sick and very original! Nah, that yellow is an eye-sore. Sorry Jared. And why does the red looks like blood splatter rather than some art work. I still think your old design works well and beautiful. Anyway, I agree with some of the posting here, the yellow is just out of place. TBH Jared, I’ve loved the paint scheme you’ve had forever. Its clean. Its patriotic. Personally, not feeling the yellow. It feels distracting. You know what though? Our opinions don’t really matter. Do you, bro. 😉 God bless. Not bad looking, but the yellow just comes out of no where and clashes. I like it, for sure a change, but not too drastic. I think you could run either White or Yellow wheels and make it work. If it’s what ya like, rock it. Looks fine. I’d run white wheels though. I think it works good with the yellow wheel tying in the yellow from the body. One thing is for sure. 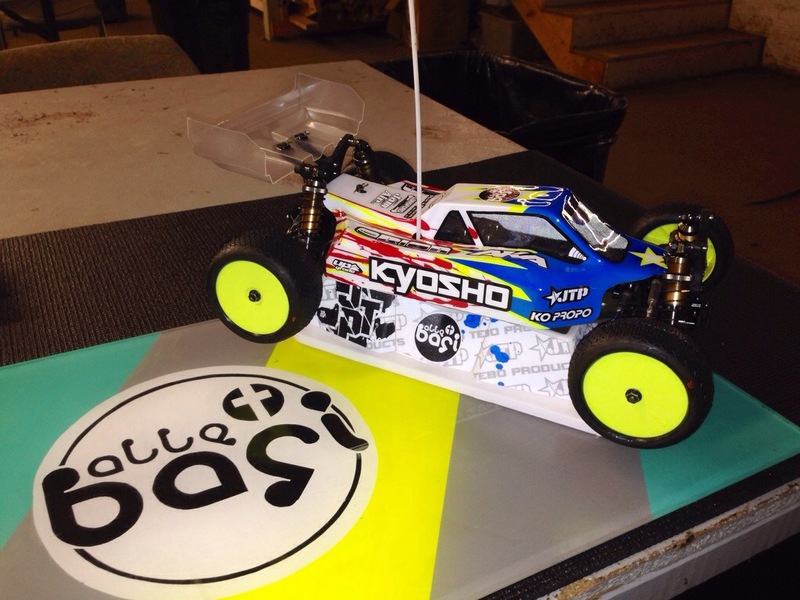 The sales of yellow Kyosho wheels will go up if you run them! As a painter I think the design looks unfinished but that’s just me maybe add silver or chrome to outline the blue some dark blue shading and use the neon yellow for the window outline . You had a great design before but its not up to us what paint you run. I have always loved all my bodies. They have been through many changes in the 14 years. This just marks another step in my journey. When he gets it figured out, they will look awesome!!! I’m not worried about it. Looks good to me.. Bright easy to see. I don’t think yellow goes well with your signature red, white, and blue. I do like the new paint design though. If you’re trying to find a complimentary color you might consider giving this tool a try: https://kuler.adobe.com/create/color-wheel/. that thing could be pink and it’ll still be smoking fast.